Six-sided puzzle, approx. 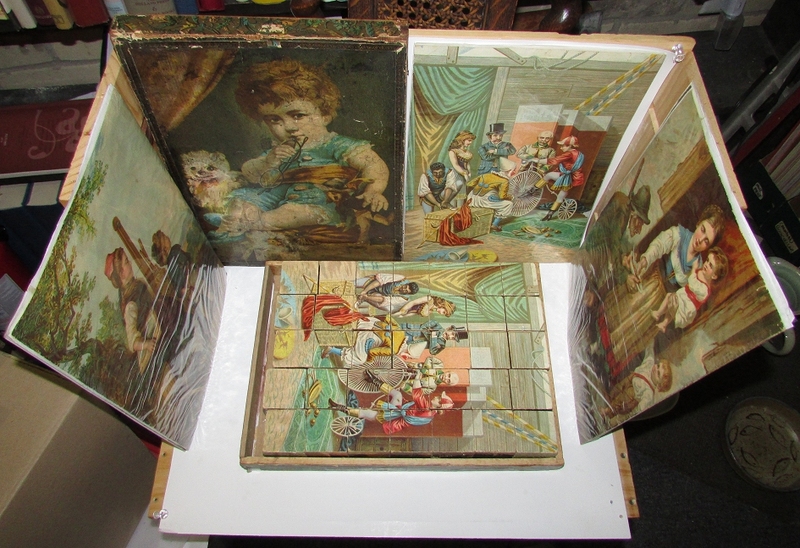 8.5” x 12”, in 35 pieces, with five chromolithograph guide sheets. Housed in original wooden box with guide to the sixth side on the lid. Complete. Manufacturer not identified. (188-?) 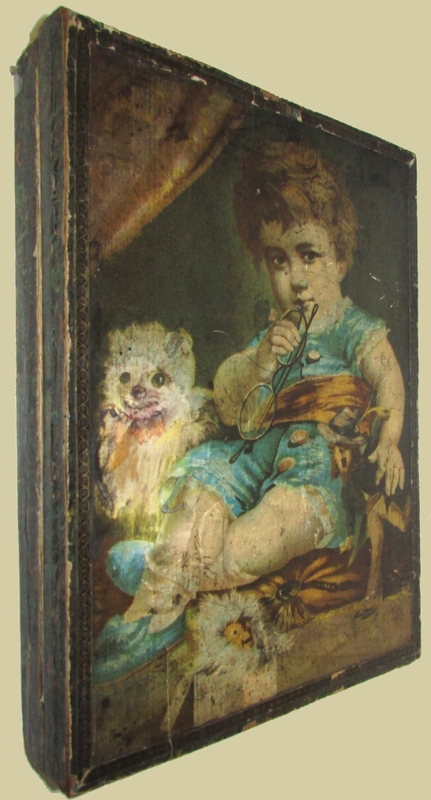 Near fine, guide sheets have light wear to extremities, box very good—though someone has crudely restored the face of the dog—with original metal clasps. 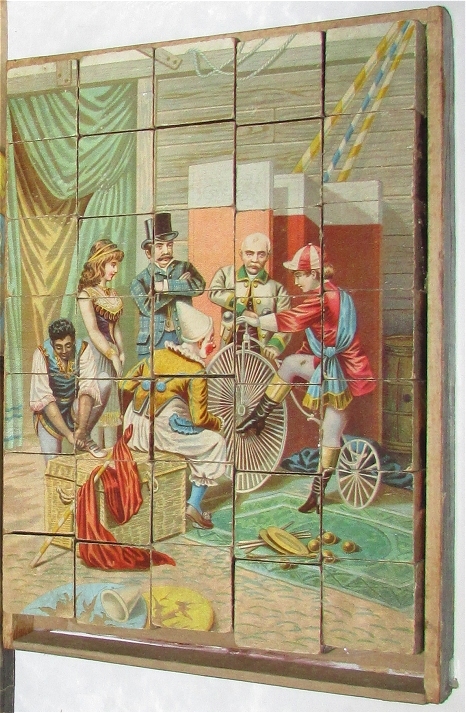 Scenes depicted are of circus performers, a small boy with a dog, a small girl with a dog, young people with artists' materials in a pastoral setting, a boy showing a damaged kite to an old man, and a woman and children feeding a beggar outside of a cottage.